Activists have called for a worldwide ban on the hazardous building material at rally in Turin, Italy where an international trial on asbestos-related disease is underway. Asbestos-related diseases is quite common in Italy due to past exposures. This has resulted because previous Italian governments were manipulated by multinational asbestos corporations. The epidemic of asbestos-related cancers for instance, in Casale Monferrato in northwest Italy, where Eternit remained in operation until 1985, and in Monfalcone in northeast Italy has taken a toll that has come to light only after public protests, trade union pressures, and campaigning by the families of victims. Now that a ban exists in Italy, it is vital that it be fully enforced to reverse the epidemic of mesothelioma, lung cancer, and other asbestos-related diseases. As significant as is this ground-breaking lawsuit is the formation of an alliance of European groups and professionals which has coalesced to progress the claimants' cause. 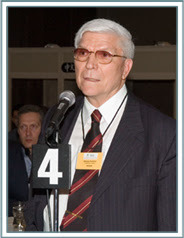 A series of meetings which took place in Turin from March 14-16, 2010 brought together asbestos victims' representatives, ban asbestos activists, legal practitioners and other experts from Europe, Latin America and Asia too. “People in Turin and the surrounding area know only too well the consequences of working for Eternit. Thousands of people in Casale Monferrato and other Italian towns have died from their occupational and environmental exposures to Eternit asbestos. Considering that hazardous exposures experienced in Italy were replicated elsewhere, there must be hundreds of thousands of people who have died from their exposures to this company's asbestos products." For the first time in the state, the Industrial Health and Safety Department (IHSD) has said on record that there are about seven companies dealing with asbestos-related products, in reply to a query under the Right to Information (RTI) Act filed by Ahmedabad- based activist, Raghunath Manwar. 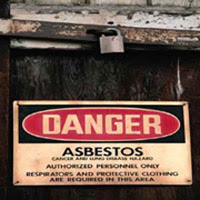 Asbestos is a hazardous material that causes asbestosis. The IHSD has refused to disclose any information about precautions taken against the killer disease. In another RTI reply to Manwar on March 24, the IHSD has admitted that it has no equipment to detect asbestosis in the state. Recent replies to Manwar’s RTIs by IHSD and Employees’ State Insurance Corporation India (ESIC) have shown discrepancies in the number of workers or labourers working in companies dealing with asbestos. The RTI information shared by IHSD mentions the companies dealing with the hazardous material as Sanand Captain Packaging Industries; Gujarat Composite in Kaaligam, Ahmedabad; Gujarat Pressure Pipes Private Limited in Vadsar, Sabarkantha; Ambika Pipes Limited,Vadagam, Sabarkantha; Hindustan Asbestos Pipes, Sabarkantha; Bamco Product India Limited; Everest Industries Limited in Bharuch; and Champion Jointing Private Limited in Valsad with 250 workers. The companies have refused to comment on the precautions taken against the occupational hazard. Also, there are a lot of discrepancies in the replies by ESIC and IHSD. The IHSD had claimed in its January reply that there were only 58 workers in companies dealing with asbestos; ESIC said in its reply that there are actually 1,384 labourers. 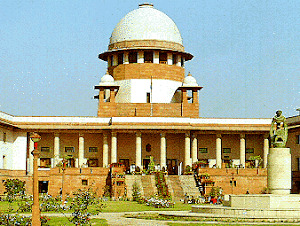 “The Supreme Court had asked to reduce the number of labourers working in the asbestos product manufacturing companies in 1995, but the number remains same. Where is the change?” Manwar asked. The State Information Commission will be required to pronounce judgments in open courts now that new rules pertaining to the Right to Information (RTI) Act have been implemented with effect from March 22. The new rules also spell out the procedure of how the commission can act as a civil court. “The commission can ask for oral or written evidence; it can ask for record or inspection of records. The new rules make public pronouncement compulsory,” said Harinesh Pandya of Mahiti Adhikar Gujarat Pahel, an NGO that promotes the use of RTI. In order to benefit the information seeker, the new rules have come up with additional modes of payment. Earlier, payment could be made only through cash, non-judicial stamp, demand draft and bank pay orders. Now, it could be made through non-judicial stamp, electronic franking, judicial stamp paper, Indian Postal Order and revenue stamp. The applicant can also pay the application fee in an authorised bank or through treasury challan. Again, it would now be binding on the public information officer to inform the applicant about the required mode of payment. “This will save a lot of time, energy and most importantly, the money for travelling. Earlier, people had to travel to Ahmedabad from as far as Kutch to file an RTI,” said Pandya. The new rules have been published in the government gazette. Choi Hyung-Sik recalls the stampede of bulldozers throughout the 1980s that demolished his neighborhood in Gwangmyeong, a town to the southwest of Seoul. A security guard at an apartment complex, every day for nearly a decade Choi wheezed through a cloud of thick dust, parching his throat with a layer of sand. He suspected it wasn't doing his lungs any good either, but no word came from authorities to the contrary. The high-rise apartments being built were the future of South Korea; why hinder them by imposing fiddly regulations requiring developers to tell residents of the widely known dangers of inhaling that dust? "There was no warning. The authorities told us nothing," Choi laments, who now suffers from malignant mesothelioma, an extremely rare cancer in his lung lining that typically kills its victims one year after diagnosis. The unfettered urbanization that transformed South Korea's cities between the 1960s and 1980s ignored a hazard now proving lethal for South Koreans living around construction sites, mines, and shipyards: asbestos, the cancer-causing mineral mined heavily in that country for construction materials until the 1980s. Choi is one victim; by inhaling that dust, doctors said, he was exposed to asbestos, which usually takes more than 20 years — and sometimes up to 50 — to show its carcinogenic effects. See the top 10 medical breakthroughs of 2009. Unfortunately, he is far from alone. The number of South Korean patients reporting asbestos-related illnesses, including mesothelioma, lung cancer and asbestosis, is small, but on the rise. In 2007, the most recent year that data is available, 55 new cases of malignant mesothelioma were reported out of South Korea's 48.5 million people — in public health terms, a notable increase over 2001, when there were only 12 reported cases, says Paek Dom-yung, an occupational medicine professor at Seoul National University. Lung cancer, another illness sometimes caused by asbestos exposure, has also reached an all-time high in mortality in South Korea, with about 14,000 deaths each year. Now, for the first time, lawmakers expect to pass regulations this month that will require the government and developers to reimburse victims. "The government can't avoid these criticisms," says Kim Sang-hee, a National Assembly member affiliated with the opposition Democratic Party, who sits on the environmental committee. "It didn't take proper measures earlier on, even though there were strong appeals from many environmental organizations [for the ban and reimbursement] in the early 2000s." 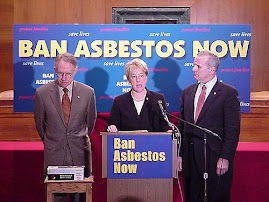 Even though the government outlawed some types of asbestos in 1997, the increasing number of victims throughout the 2000s prompted labor unions and public health experts to push for a full ban and for reimbursement measures, which they argued was long overdue. They pointed to epidemics in several communities around former asbestos factories and mines, mostly located in the city of Busan at the southeastern tip of the peninsula, and in Chung-Cheong, a province on the west coast. In campaigns last year held by the Korean Federation of Construction Industry Trade Unions, an umbrella group of unions that runs a clinic for asbestos victims, 5,000 laborers, asbestos victims and activists signed a petition asking for reimbursement from the government, a key move that brought the issue more into the public eye after it was ignored for several years. Critics say the debacle in South Korea foreshadows problems for rising Asian powers — such as China, India and Indonesia — which continue to mine asbestos heavily mostly for domestic use despite its proven cancerous effects. China continues to be the second largest producer and consumer of asbestos in the world, behind only Russia. "There will be large problems with these countries if they don't regulate asbestos more thoroughly," says Paek, who also pins some blame on Canada, which continues to export large quantities of the mineral to poor Asian countries, whereas the provincial government of Quebec has spent millions of dollars removing asbestos from its own schools and hospitals. 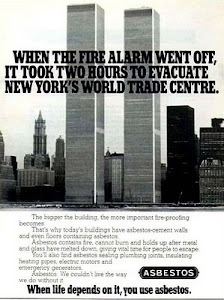 For many years, asbestos was considered a miracle mineral for building skyscrapers and military weapons, thanks to its cheapness and durability. The substance was first mined on the South Korean peninsula under Japanese rule in the 1920s, using it to build warships until World War II. After the Korean War left the peninsula split in into a north and south in 1953, South Korea, then one of the poorest countries in the world and seeking to industrialize, resumed mining asbestos in 1960. Consumption of the mineral peaked in the 1980s, but soon thereafter domestic companies moved their operations to China and India, where mining was cheaper and more scantily regulated. "At the time of South Korea's industrialization, there were many reports of the health dangers of asbestos," says Paek. "If we were careful enough, we could have had that information, and had found different ways of using asbestos." Meanwhile, because of its latency period of 20 years or more after exposure, South Korea should be bracing itself for asbestos-related illnesses to become more pervasive in the coming years, says Kim Hyoung-ryoul, a medical professor at the Catholic University of Korea. Asbestos-related illnesses are expected to increase substantially until around 2030, say public health experts, and South Korea lacks the specialized facilities and experts to identify and treat these once-rare disorders. Reimbursement is just the start of a long campaign — one that the key players should have recognized earlier, many say. "The effort is appreciated, but the warnings about asbestos have simply come too late." says Choi, the security guard.